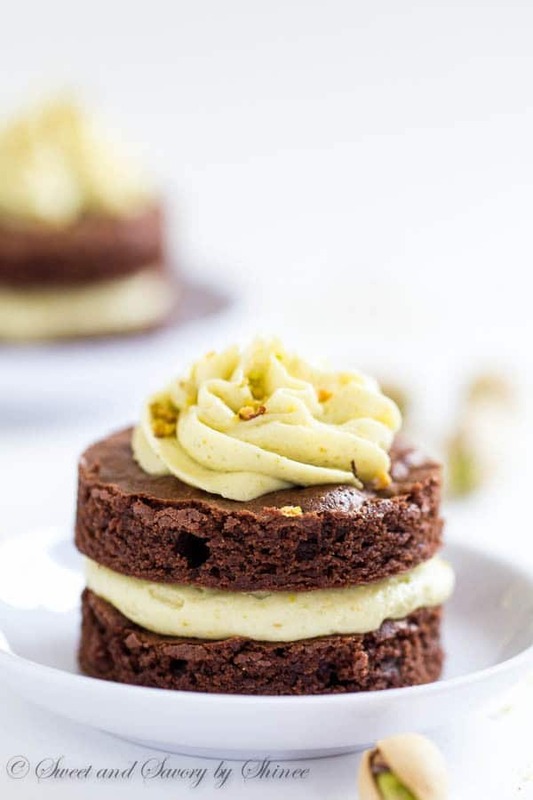 This fluffy pistachio buttercream pairs exceptionally well with chocolate cake. 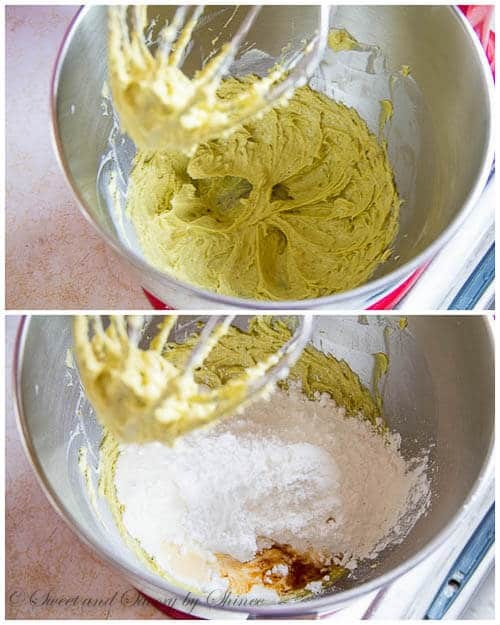 If you love pistachios, you’ll love this buttercream! So, you love pistachios? Me too. But for some reason, I never thought of making pistachio buttercream up until I made my pistachio macarons. Oh man, was I missing out! 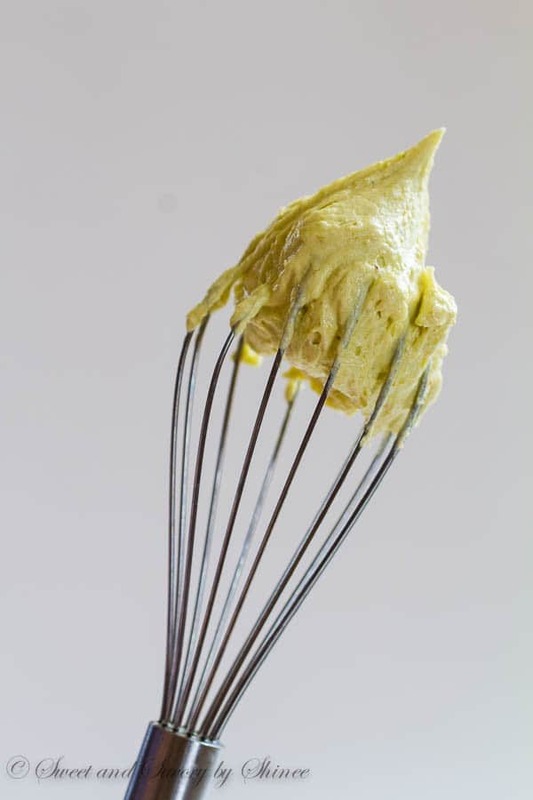 With my leftover homemade pistachio paste, I whipped up this ultra-fluffy pistachio buttercream. It pairs beautifully with chocolate cake, but I can imagine it’ll compliment any cake, or cupcake. And just like any basic buttercream, it’ll take minutes to make it. Beat the butter and pistachio paste. Check. Beat in powdered sugar, cream and vanilla extract. Check. And deliciously nutty, fluffy buttercream is ready to dress whatever baked goods you have. I used this frosting for my mini chocolate layer cakes. Absolutely delicious! In large mixing bowl with paddle attachment, or using a handheld electric mixer, beat the butter and pistachio paste until fluffy, about 2 minutes. 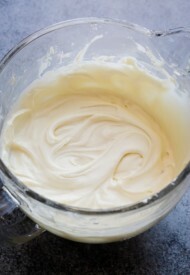 Add the powdered sugar, heavy cream and vanilla extract and beat until smooth and fluffy, about 2 minutes. This recipe makes enough frosting for 12 cupcakes. Can this be used for filling chocolate bon bons? 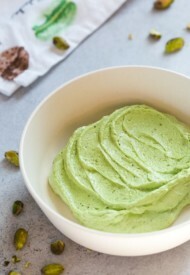 This pistachio buttercream was delicious! I have been searching for a pistachio extract to flavor frosting that didn’t taste like garbage with no luck. 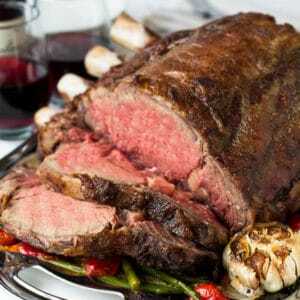 My husband shared this recipe and everyone raved about it. 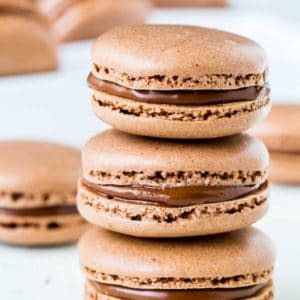 I used it as a macaron filling, and it was great. Thank you for solving my pistachio problem! Yay, so happy you found and loved this recipe. It’s one of my favorite flavors! Thank you for your feedback, Liz! Hi, Lina. I’m not sure, as I’m not familiar with pistachio cream. 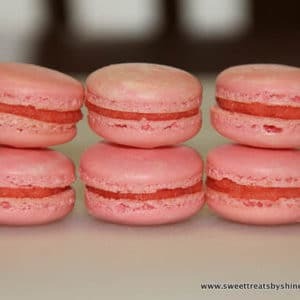 Can this buttercream filling be used in French macarons? This was awesome! I made my own paste as indicated. The only modification I made was to add a couple of drops of green food coloring to balance the color, without it, the color was a rather unappetizing muddy brown-green. Hi, Monica. Yay, I’m so glad you loved this pistachio buttercream! Thank you for your feedback. 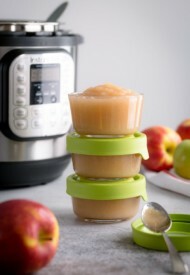 If I were to use this on a cake what size cake does it cover or how many cups does it make? Thanks! Hi, Mac. This’ll make enough for 12 cupcakes, not quite sure about what size cake though. So about 1 cup of icing would you say? i love this recipe but I’m not sure by how many times i should double or triple it. Hmm, I think it’ll make more than a cup of icing. I’d say at least 2 cups. How big of a cake are you making? Thanks very much for this! This is super exciting – France is my wife and my favorite place in the world, and her favorite flavor is pistachio. One of her favorite things is pistachio flan, which you generally just won’t find stateside (we hardly know what flan is.) Do you have any thoughts on what version of pistachio concoction to add to a flan recipe to flavor it properly? Hi, Michael! Thanks for reaching out. I think you can add a little bit of pistachio paste in the custard. Or you can also scald milk, add chopped pistachio and let it sit for couple of hours to infuse the milk with pistachio flavor. And top the flan with some fresh pistachio would be great. Now I kind of want to try making it. 🙂 Let me know if you try this. Can cake with pistachio filling be frozen? Hi, Nina. Yes, absolutely. You can treat it just as any buttercream frosting. Thank you so much Shinee!!! 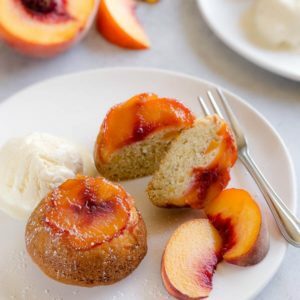 would this recipe work with dry freeze strawberries? Hi, Hang! 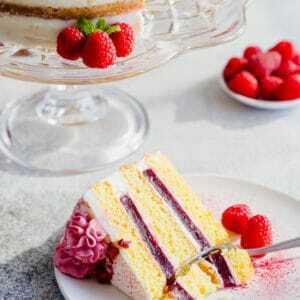 I’ve never tried making buttercream with freeze-dried strawberries. But I think it’ll work great if you grind it into powder. recipe looks great but instead of using heavy whipping cream, can i substitute it with milk? 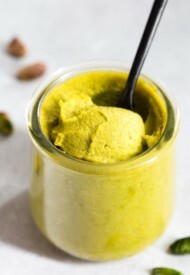 Also, can i just use pistachio flour instead of pistachio paste? Hi, Emily! Yes, you can use milk, just start with 1 tablespoon at time. I’ve never tried making it with pistachio flour, so can’t advise on that. this recipe looks fantastic but was unable to open. says skip to recipe but doesnt open; thanks. Hi, Rosalva! Sorry about that. I just corrected it.